THE GOVERNMENT APPROVED 334 applications for military flights to land in Shannon Airport in 2017, representing over a third of the total number of exemptions across all Irish airports for the year. Independents 4 Change TD Clare Daly described the figures as “utterly, utterly shameful”, and clear evidence that “Shannon is a de facto American military base”. Airlines that wish to carry weapons or munitions through Irish airspace or airports are allowed to apply for an exemption to let them refuel. Shannon Airport in particular has been the focus of attention under this exemption, as the US military has been using it since 2002 for flights en route to the Middle East. Last year, the Department of Transport, Tourism and Sport received 340 applications for exemptions under the Air Navigation Order 1973 for flights seeking to land at Shannon Airport. 334 of these applications were granted, and six were refused. Across the country, a total of 944 applications were received for exemption – 919 of these were approved and 25 were rejected. Two were withdrawn. The Minister for Transport Shane Ross gave the figures in response to a Parliamentary Question from Clare Daly about Shannon Airport last week. Speaking to TheJournal.ie, Daly said that the figures were “absolutely disgraceful”, but “not a bit surprising”. “Despite the huge numbers of weapons exemptions issued, and the fact that thousands of US troops pass through Shannon every month, the government continues to deny that Shannon is a de facto American military base, even though it’s patently obvious that’s what it’s operating as. They continue to peddle the absolute fiction that these American aircraft and the troops on them are just passing through on their holidays – when the number of exemptions issued to allow the aircraft to carry weapons makes it absolutely crystal clear that they’re engaged in military exercises. In his address to the Dáil, the Transport Minister said that the Chicago Convention states that “no civil aircraft may carry munitions of war over a state without that state’s permission”. But in accordance with the provisions of the 1973 Order, airlines can apply for exemptions from the Irish State up to 48 hours prior to the flight. “My department seeks the views of the Department of Foreign Affairs and Trade in relation to foreign policy issues and the Department of Justice and Equality in relation to security issues. The IAA is consulted in relation to aviation safety issues for applications involving munitions that are also categorised as dangerous goods. If any of these bodies objects, an exemption will generally not be granted. Ross also said that the ongoing internal review of the Air Navigation Order 1973 – which seeks to ascertain whether aspects of the Order can been changed – will be completed in the coming weeks. “I should point out that the internal review is examining the Statutory Instrument primarily from an administrative and legal perspective,” he said. Email “One a day: 330 planes carrying weapons landed in Shannon Airport last year”. 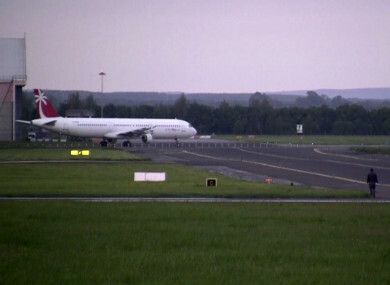 Feedback on “One a day: 330 planes carrying weapons landed in Shannon Airport last year”.